The first time I made this snack was for my kids’ birthday party. Everybody was excited with the flavor and they were asking for the recipe. Tonight I had to finish a retirement cake (I will give you all details in a future post), an olive pie and to prepare dinner for my family. So I thought that this snack would be an easy and delicious option. The preparation time is approximately 15 minutes and your children can help you as well. Bon appetite…!!! 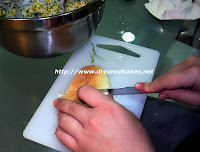 You can add green pepper or any other ingredient that you might feel will be nice with tuna. Here I have the ingredients that my kids like. You can even replace these ingredients with "light" ones, and make it a diet snack. 1) In a medium bowl , mix the first 6 ingredients together. 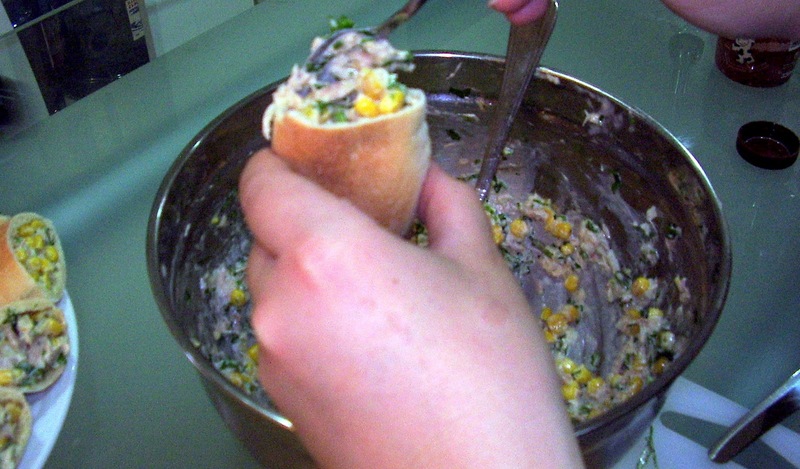 3) With a teaspoon fill pitta bread with the tuna mixture. 4) You can serve immediately or freeze (maximum for 24 hours before serving). Nice quick snack ... I love Pita bread but we don't get that at the bakery here - do you have a recipe for the pita bread. That looks soooo good!! :) Yum! Quick and tasty snack !! That looks like a great potluck dish! I am going to take that to a party next time. By the way, I nominated your blog for an award today. Come by and check it out when you have a chance! While my husband is not a fan of tuna fish, I do enjoy it. I'm thinking the "light" version may make for a great lunch option for me - and I'm always looking for lunch options. It's the hardest meal of the day for me to plan (mostly because it's just for me). This looks so appetizing. I've never seen these small pita breads before. BTW I have posted the roundup of Creative Concoctions. Great snack for the kids, looks quite tasty! This look great. 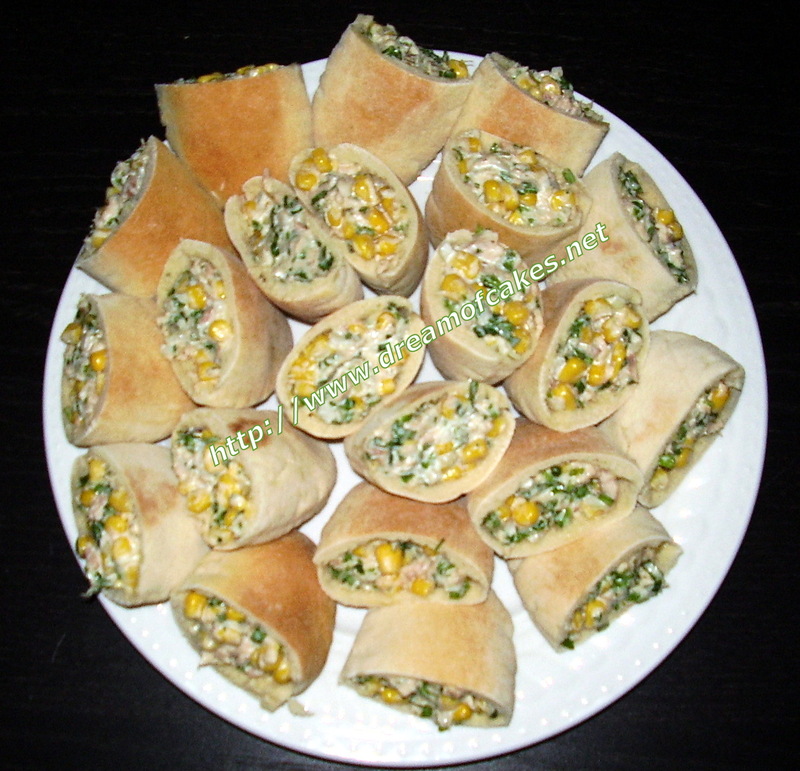 easy and quick to prepare yet its going to be a healthy snack. I love the idea of what you made! I don't eat tuna-fish (I'm a veg.) but you gave me a great idea. I love it! !